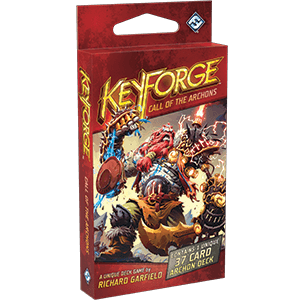 A box of 12 KeyForge: Call of the Archon decks. 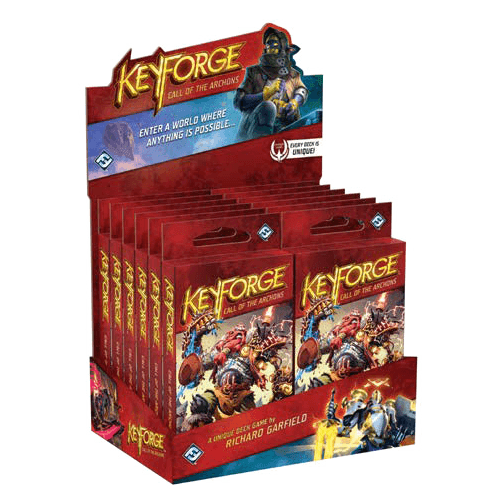 Start a subscription to get free, automatic shipping on future KeyForge releases! 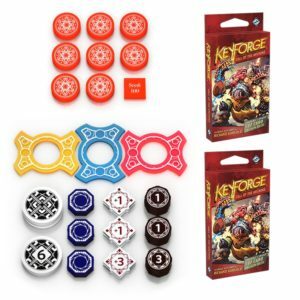 KeyForge is an incredibly fresh concept for a game, falling somewhere between a traditional collectible card game and a “buy it once and play it right out of the box” board game. 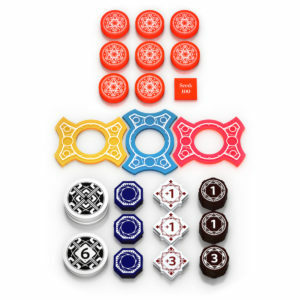 Every deck that you buy has a randomized assortment of cards that is controlled by an algorithm designed to make playable combinations. The assortment of cards in any deck that you buy is fully unique; it will never be replicated in any other deck. Each deck also has a procedurally generated, fully unique avatar and name. In this way, every single deck is unique. There is no deck-building, collecting, or constructing of any kind. Buy a deck, open it up, play it – a very exciting paradigm shift for all of us at Covenant. 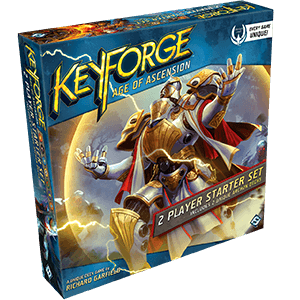 We are thrilled to see a more casual approach to card games with a low barrier of entry, a huge appeal to non-gamers, and a vast feeling of exploration and discovery.